After obtaining his B.S. in Business Administration from Providence College in 1983, Attorney Lynch continued his education at Gonzaga University School of Law in Spokane Washington, and then The Columbus School of Law at The Catholic University of America in Washington D.C. in 1986. Attorney Lynch is licensed to practice in both Rhode Island and Massachusetts. Michael’s civic dedication is evident. He has been involved as a member of the Board of Governors of Community Health of Westerly Inc., (the parent entity for The Westerly Hospital), has served as president and Board Member of The Rotary Club in Westerly and as an area representative for Rotary International District 7950. He has also served on the Board of Directors for The W.A.R.M. Shelter, Inc., as a Member of the Board of Corporators for the Westerly Public Library, and presently serves on The Board of Directors as the 2nd Vice President for The Girl Scouts of Rhode Island. Michael is also counsel for many non-profit youth and adult organizations. Jeff joined Washington Trust’s Wealth Management division as vice president & investment officer in 2009. He is responsible for managing client investment portfolios. Jeff has more than 14 years of portfolio management, research and trading experience. He was a portfolio manager & equity analyst for a $1 billion family foundation in La Jolla, CA prior to joining Washington Trust. Previously, He was a senior institutional trader and director of institutional sales & trading for two Boston based investment boutiques. He has a bachelor’s degree in finance from Boston College and is presently completing his M.B.A. from Babson College, and is a Chartered Market Technician and a member of the Market Technicians Association. Jeff is a member of the board of the Westerly Economic Development Commission, the Westerly-Pawcatuck YMCA, and is an incorporator of the Westerly Public Library. Janell Hayes Bruno has a BS degree in Business/Marketing from URI. Janell is VP, Mortgage Lending at The Washington Trust Company. Janell is married to Drew Bruno. She is also a Board member of the South Shore Center and Literacy Volunteers of Washington County. Janell joined the WEEF Board to give back to the community and be a part of an organization assisting Westerly Public Schools; education is very important and I am happy to be a part of an organization that is enhancing and improving the education experience for Westerly students. Fran Prescott is a former classroom teacher who taught kindergarten through sixth grade for twenty-one years—sixteen of them on Fishers Island in New York, and five at the Regional Multicultural Magnet School (RMMS) in New London, CT. She left teaching to care for family members in declining health, and she currently works at the family business, Zoë & Co., Professional Bra Fitters. She maintains contact with teaching as an enrichment presenter on Japanese culture at RMMS, working with grades K through five. Fran received her B.A. from Connecticut College in 1985 and her M.A.T. at Connecticut College in 1992. Fran’s volunteer work has ranged from working in Westerly Public Schools as a PTO parent, a mentor, and the editor of the WHS Theatre Scrapbook programs, among other things, to volunteering in area nursing homes and even fundraising for the Leukemia and Lymphoma Society through Team In Training. Fran’s current interests are choral singing and writing for children. She joined WEEF because of the dedication its members have shown for making a positive difference in the lives of children and in the improvement of education. 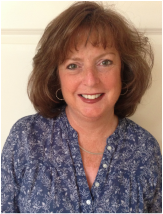 Anne Sculco was born in Westerly and attended the Westerly public schools from K-12. She graduated from Westerly High School in 1962 and entered URI majoring in both and English and Education. She obtained a B.A. from the University of Rhode Island in 1966. Anne had her first teaching position at the former High Street School and then continued to teach for a total of 34 years. Her experience in education included both elementary and middle school grades in a variety of locations including New York, Vienna, Austria, and, most recently, Newton, Massachusetts where she retired. In Newton, Anne was a math resource teacher for 9 of the City’s 18 elementary schools for 8 years. She then took a position as the Director of the Teachers’ Center for 4 years, and was chosen as a member of the Newton School’s Foundation Grant Committee for 4 years. Upon retirement, she and her husband, Fred, moved back to their home in Westerly. Anne is a member of the Westerly College Club, and the Westerly Public Schools mentoring program. She believes the foundation of our country rests with a strong educational system that is responsive to the needs of both students and teachers and hopes she can bring some of her education experiences to WEEF. Aaron Morrone graduated from Westerly Public Schools in1985. He has his BS from Northeastern University, a MS from Temple University and his MBA from University of New Haven. Aaron and his wife Nancy have three children in the Westerly Public School system. Dr. Seitsinger, of North Kingstown, is Westerly Public Schools Superintendent. Prior to coming to working in Westerly he was superintendent in Exeter-West Greenwich for four years. He was also an assistant superintendent in Bristol Warren and a principal in North Kingstown. He began his career as an elementary-school teacher. A former vice-president of the Rhode Island School Superintendents Association, Dr. Seitsinger holds a Ph.D. in Educational Leadership from the University of Connecticut and master’s and bachelor’s degrees in education from Bridgewater State College, in Massachusetts. Dr. Seitsinger was also the director of the Office of Middle School and High School Reform. thrilled to be working with the talented people affiliated with WEEF." Jenn has been on the WEEF board since 2013, with an extensive background in marketing and community engagement. Working at the Ocean Community YMCA since 2012, she had connected with the community and Y members as the Marketing and Membership Development Director for 3 years. Recently she changed roles to work with the Development Team for the Association as the Associate Director of Development. Responsible for Association marketing, fundraising and events. Jenn has grown up in Westerly, leaving for college and coming back to raise her two daughters with her husband Mike. An active member in the community, past board member of the Westerly Adult Day Center, serving on several committees and working with local businesses on events keeps her involved. 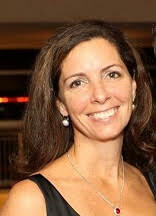 “I enjoy working with the WEEF board members and actively encouraging and engaging the minds of Westerly students. Whether it is a new technology, new programs or my personal favorite Serendipity Book Club, WEEF provides the funding for additional resources the students and schools need." Steve is a lifelong resident of Rhode Island. He has 34 years of experience in the credit union industry spending the last 13 years as President & CEO of the Westerly Community Credit Union. Prior to joining WCCU he was the Chief Operating Officer of The People’s Credit Union in Middletown, RI. Steve served as a member of the Credit Union Association of Rhode Island’s Board of Directors for 12 years and served as its chairman for 2 of the 12 years. A Graduate of URI he holds a Bachelors Degree in Business Administration. Steve is a graduate of CUNA Management School conducted by the University of Wisconsin’s Graduate School of Business and the Credit Union Executives Society’s (CUES) Executive Operations Institute sponsored by the University of Missouri. In 2012 Steve completed the CUES’ CEO Institute, a three year professional development program sponsored jointly by the Wharton, Johnson and Darden Schools of Business and obtained the designation of Certified Chief Executive Officer. Steve is a member of the Ocean Community YMCA Finance Committee, Treasurer of the Pawcatuck Neighborhood Center, and the former Moderator of the Dunn’s Corners Fire District where he is currently District Clerk. He also has been a volunteer in the Westerly School Department’s Mentor program, has coached in both the Westerly National Little League, and Westerly Youth Basketball League. He is a former past president of the Portsmouth Rotary Club as well as a Paul Harris fellow. Steve his wife Grace and their son Carter currently reside in Westerly Rhode Island. Ernie has been a WEEF board member since 2015. He is employed at Jewett City Savings Bank in Griswold, Ct and serves as the bank’s Chief Credit Officer. Prior to joining Jewett City Savings Bank he was with Westerly Savings Bank, which merged with NewportFed, for 17 years. He is currently a volunteer firefighter at the Westerly Fire Department. He was a board member of the Westerly High School’s Finance Academy as well as a past board member of Westerly Recreation Board. He currently serves as a Board member of South Eastern Connecticut Economic Region and is the Chairman of the organization’s Loan Administration Board. Ernie and his wife Jeri, a Westerly High School teacher, reside in Westerly with their three daughter all currently in the Westerly School system.